Did you ever stop and think about why your favorite color is your favorite? 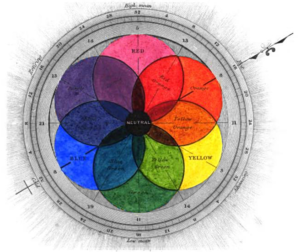 In psychology, there is a direct link between seeing color and feeling emotion. Most of us see our favorite color and it makes us feel good. 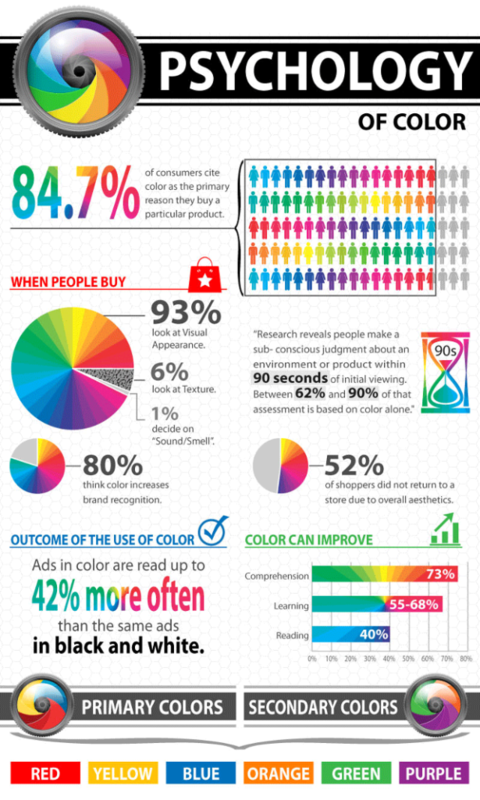 In digital marketing, it’s not necessarily about choosing your favorite color, but more about using science to choose colors that will attract business. Here are some of our favorite resources for choosing the perfect color for your brand, infographics, website and more. In this great post from Sleeknote, you can find out what colors make who click on what. 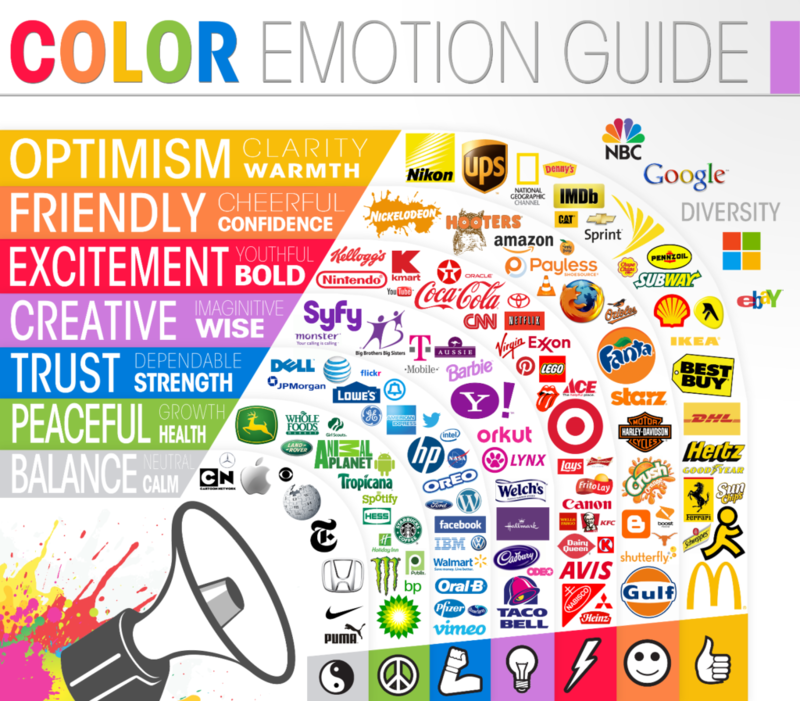 Being aware of what emotions are triggered by the colors people see on your website can put you a step ahead of the game. Do you want people to get excited when they see your brand? Do you want them to feel relaxed? Maybe you want them to feel hungry? Using the psychology behind choosing the perfect colors for your graphics can bring just the type of response you’re looking for. This post from intechnic gives great advice on the best ways to draw the right response from the right audience. Lighter shades of blue are known to have a calming and tranquil effect. Emotional response plays a huge role in a person’s decision-making process. When we feel good we usually make good decisions and when we’re stressed we can make hasty decisions. Find out what colors to favor and what colors to avoid in this post from verywellmind. 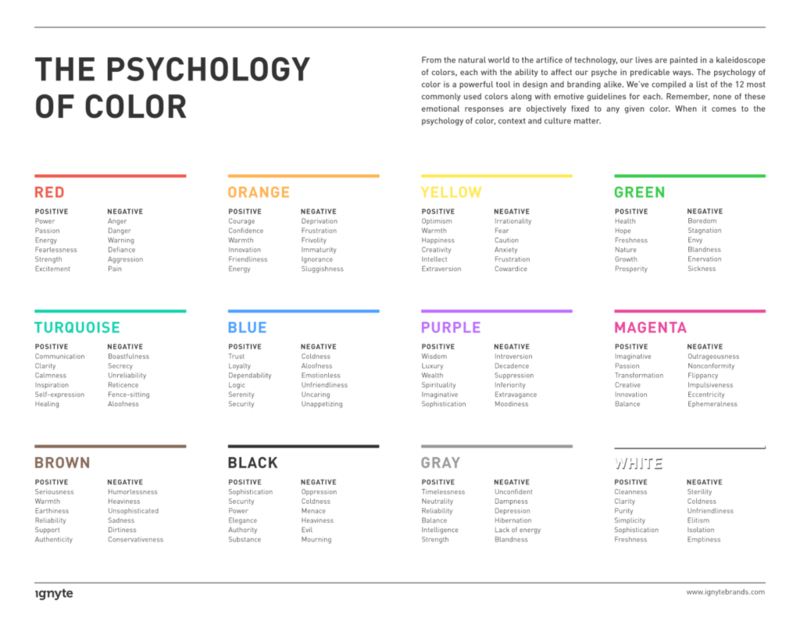 In this post by ignyte, you can delve deeper into the psychology of color. 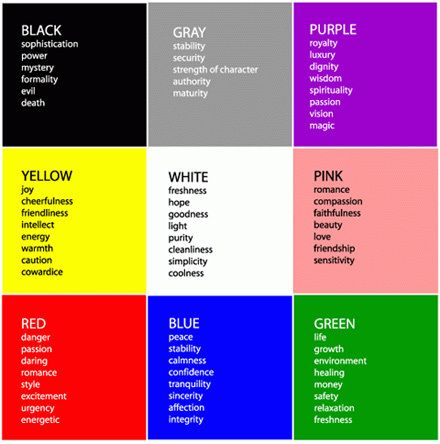 The emotional response to a color can be different from person to person. Learn about these variables and how to develop the right personality for your particular brand. It’s just one of those things. We have to face the reality of color stereotypes when it comes to marketing. 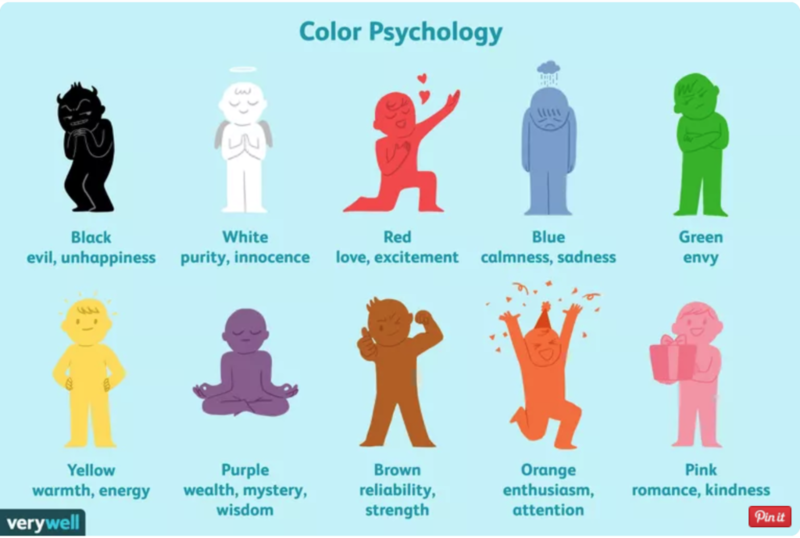 In this post from supermoney, you can learn a lot more about the science and history behind the use of color in gender marketing. Different colors symbolize different things depending on your culture and where you’re from. 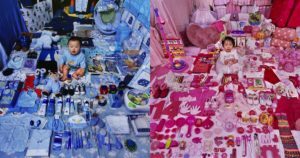 In this Art Therapy post, you can further investigate the meanings and the cultural symbolism of the colors you choose. Our expert designers know a lot about color psychology and can help you pick the perfect colors for your logo, website and beyond. 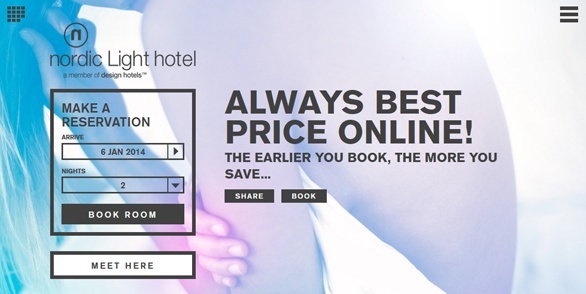 Additionally, we have excellent content about color schemes, fonts and more.